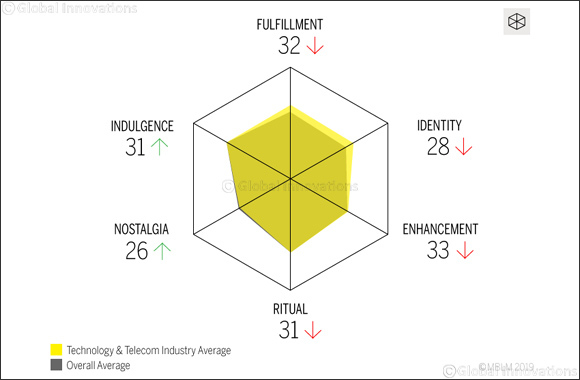 Dubai, UAE, March 19, 2019: The technology & telecom industry in UAE has maintained its rank as #2 among 15 industries researched for the third year in a row in MBLM's Brand Intimacy 2019 Study. Microsoft has demonstrated the strongest growth in the industry, rising to #2 this year from #5 in 2018 and #8 in 2017. Meanwhile, despite a decrease in its overall Brand Intimacy Quotient (BIQ), Apple still ranks #1 in the industry and overall in the Brand Intimacy Study.